“I was in shock. I didn’t know about AIDS. I heard about it, but I wasn’t educated on it.” Angelita’s reaction to learning that Adrian, the beloved child she had raised, was living with HIV is unfortunately all too common in the Latino community. Despite being disproportionately affected by HIV, lack of knowledge and stigma keep many Latino families from seeking life-saving prevention and treatment services. According to the Centers for Disease Control and Prevention (CDC), fewer than half of Hispanics/Latinos living with HIV in the U.S. are engaged in care. Angie, as her family calls her, told Adrian “We’re going to be okay.” She made a commitment that day to find out everything she could about the disease, beginning with making an appointment for Adrian to see a doctor. Together, they learned that with the treatments available today, Adrian could live a normal, healthy life. While Ana suspected she might have HIV before her test confirmed it, that didn’t make it any easier to tell her parents. She worried she had disappointed them, but they responded only with love and support. “It gives me a lot of comfort, a lot, knowing that my parents were there [for me],” says Ana who is a busy mother of two today. Her dad Felix checks in on her regularly and makes sure she is keeping up with her medication. Research shows people with HIV who have strong support networks are more likely to get and stay in care, which both improves health outcomes and reduces the spread of the disease. Conversely, fear of judgement and rejection can delay a person from seeking lifesaving treatment or even knowing their status. 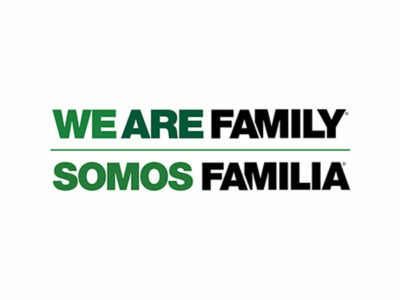 That is the message behind Somos Familia/We Are Family, a new short-form, docu-series, in English and Spanish, from Greater Than AIDS that reinforces the importance of social support for people living with HIV through real-life experiences of the families profiled here. Victor and Silvia, a brother and sister who came to the U.S. as children, have always been close. Still, Victor struggled to tell Silvia he was living with HIV. When he did it was such a relief to know that it wouldn’t change anything between them. Eddie and Jose are another pair of siblings who faced HIV together. “I thought just because he had HIV he was going to die soon, or he was going to get sick,” says Jose remembering back to those early days. Now he knows it can be controlled with treatment. “It’s important to take your meds,” reinforces Eddie, who adds he, like others in the campaign, is undetectable today, which means that the treatments have worked to bring the levels of virus in his blood to very low levels. They also talk openly about confronting their own ignorance about the virus and how it is and is not spread. “That was a conception we had at first, but once we went to classes we knew you cannot get HIV by a hug, a kiss, by eating off the same plate,” Jose comments as they sit down to a big cookout with friends and families. Click here for more information about HIV and supporting loved ones. For resources in Spanish, click here. Read the press release in English and Spanish. Click here to read this article in Spanish.